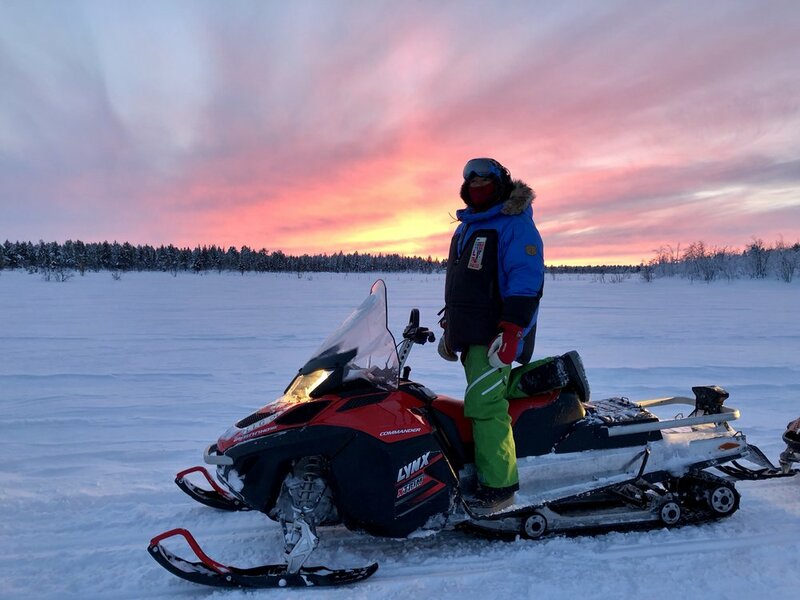 Join us on on an action packed snowmobile tour trough beautiful Swedish Lappland near the Kalix river. Two people share one snowmobile and take turns with driving and sitting. Equipped with winter clothes and provided with a safety instruction we can steer our snowmobiles off the beaten tracks. On our way you may also encounter animals like reindeer and mooses. Take a break by a warming campfire and enjoy Swedish Fika (hot drinks and snacks) in the winter wonderland. There will be time to take photos along the way. Experience an exclusive tour in small groups with up to four people. Transfer from Kiruna, warm clothes (winter overall, boots, hats, mittens and helmets) and Swedish Fika are included in the tour price. Additional 500 SEK/ person for own snowmobile. For a SINGLE PERSON booking please note that you need to book your OWN snowmobile!